From its collaborations – think Christopher Kane and Kate Moss – to the brand’s fresh take on making new season pieces work for you. 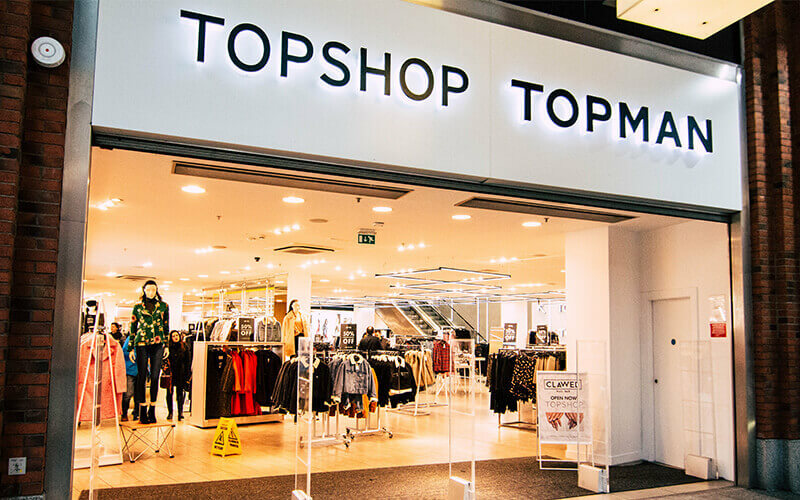 Topshop has over 300 stores in the UK as well as a growing presence worldwide, Topshop is a one-stop fashion and beauty destination. Pick up everything from jersey basics to dedicated tall, petite and maternity collections as well as limited edition design pieces. A talented team of TOPMAN designers creates our main collections of shirts, tees, jeans, suits and accessories, revolving around the latest trends and are refreshed on a monthly basis to deliver our brand motto FASHION WITH AUTHORITY.